Heel pain bothering you? The president feels your pain. Plantar fasciitis is one of the most common causes of heel pain. 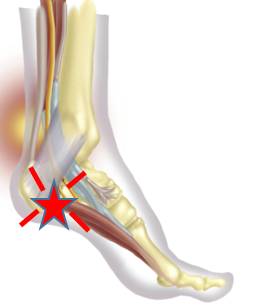 It is due to the inflammation of a band of tissue on the bottom of your foot that originates from the heel, goes across the arch, and inserts into the ball of the foot. There are many causes, from lack of arch support, to tight Achilles tendon/heel cords, to a change in activity. For the president, who is a fit 52 year old, 6 feet 1 inch and a healthy 180 pounds, his right heel pain is what is ailing him these days. Let's hope his physicians have a tried and true treatment protocol like the physicians at PPFAC! If you think you have plantar fasciitis and need treatment, please visit us at Prairie Path Foot and Ankle Clinic where one of our doctors will be able to examine and diagnose you. To read more about the president's heel pain, click here.